or who I ought to be. 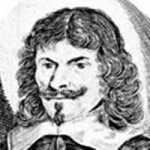 James Howell was a 17th-century Anglo-Welsh historian and writer who is in many ways a representative figure of his age. The son of a Welsh clergyman, he was for much of his life in the shadow of his elder brother Thomas Howell, who became Lord Bishop of Bristol. In 1613 he gained his B.A. from Jesus College, Oxford – he was to be elected to a fellowship at Jesus College in 1623, but he was never formally admitted and his place was taken by another in 1626. Until he was 13, he was schooled in Hereford. He went to Oxford at the age of 19.